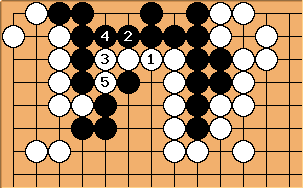 This white attempt fails thanks to the eye which black made; black captures two stones. 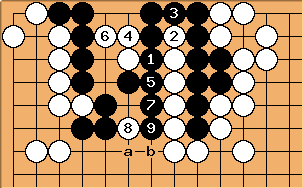 If , then white can reduce the black group to one eye locally, and it must run. 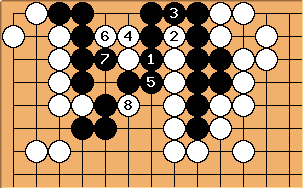 Dieter: I think your analysis is correct but in the last diagram Black needn't play . 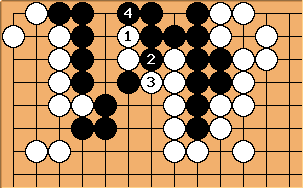 Instead, he can resist like in this diagram. 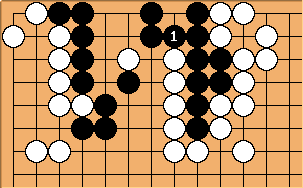 Now White will have to decide about a or b (I think a is best).